Home • BLOG • I love the Traveling Vineyard events….but what about those shipping costs? One of the questions we get at our events is; why are your shipping costs seemingly expensive? For the uninitiated who haven’t ordered wine on line the cost can come as a surprise sometimes. We survey all of our guests and host’s every month to make sure that our company’s innovative free wine tasting events never lose their luster. The facts are – our clients agree with us. How would you rate the shipping fees of the wine? In order to avoid a long blog about shipping expense. Let me break it down. It’s just plain expensive to ship via UPS or FEDEX a box that weighs 35 – 40 pounds, or even a wine bottle that weighs 3 pounds, or a typical purchase of three bottles weighing 10 pounds to a residential address, that requires an adult signature (those are all additional fees charged). Remember to add the fuel surcharges that the carriers have piled on over the last few years. Now compare that with a small party plan purchase of a few pieces of jewelry weighing less than a pound? It’s a very substantial difference. We know our customers can go to the store and buy without shipping expense. But that’s not the point. At a Traveling Vineyard event you get so much more….edutainment, socializing, lots of pairing ideas, amazing wines, and most importantly FUN! 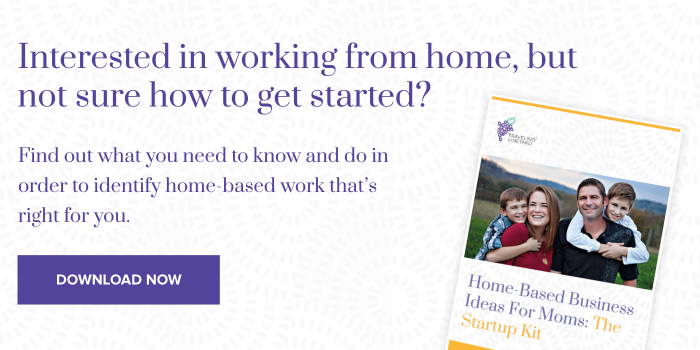 Want to work from home, but not sure how to get started? This inclusive guide has you covered. We’ve held our shipping fees to the same rates for almost two years. $9.95 is the starting point and our competitors and other internet retailers start at $15.00. All in all, pretty fair we think. We attended an industry shipping conference this month and were astounded that over the past decade the oligopoly of UPS and Fed Ex have been able to increase their shipping rates an astonishing 79.2% for ground services. These figures do not include the infamous dimensional weight pricing changes of 2011 and 2015. All we can say is OUCH! In order to keep our customers happy we have not increased our shipping charges and continue to substantially subsidize these ever increasing shipping fees. Thanks to Luke Kupersmith, CEO of Logistic for the information. I paid $25 to have 6 bottles of wine shipped FedEx, signature required from Wolff Vineyard in California. Paying $9.95 per bottle, then shipping to the host, is ridiculous. Traveling Vineyard is making a killing on shipping costs. Hi Melissa, Our shipping rates are based on sales volume, not per bottle. For example, a customer that attends an event and buys up to $224.99 dollars worth of wine is only charged the $9.95 shipping rate. That volume is equivalent to a case of our wine. We think it’s a pretty great deal to order 12 bottles and pay $9.95 in shipping! We actually don’t reach the $25 rate until a sale of $625 (which is a lot of wine). We are proud of our shipping rates and have not increased our rates in over 5 years. I was extremely disappointed in Traveling Vineyards shipping policy. I would never have hosted a party if I would have known that I was responsible to deliver the wine to my friends after they paid a $10.00 shipping fee. Why not ship direct? I missed the UPS delivery now must go to the Post Office to pick up my wine and then distribute to my guests. Although I thoroughly enjoyed the wines, I would not recommend hosting a party. It is much easy to go to the local wine store and purchase a good bottle without all the hassle. I personally think it is very expensive! You have 10-20 people for a party and say they all order, thats $200 just for shipping. I understand it is heavy and fragile and would cost more to ship. However, if one customer orders 1 bottle and another orders 6, why should they each pay the same? You are charging $9.95 each customer and if they are only buying 1 bottle, youve pretty much doubled their order. It should be priced by percentage or per bottle this is shipping. I know of a couple people that will now be combining orders to only pay the one flat rate fee. Recently attended a tasting. There were about 16 guests. We had fun, enjoyed the conversation and each other’s comments on the wine. At the end as we were making our selections the rep told us it is $9.99 shipping to your host whether you buy one bottle or a case…” I saw many jaws drop. My friend and I out our orders together so at least shipped two bottles for $9.99, but the overall opinion in the room was that it was very high. For all guests individually that would have been about $160 in shipping collected. Ridiculous in my opinion. I don’t even want to know the charge to have it shipped to your own door! I realize that shipping rates are high. However, it seems that since the wine comes all in one box, and not individual boxes by customer, it would actually be cheaper and easier to give a shipping percentage rather than a flat rate. I think 1 customer ordering 5 bottles of wine understands that her shipping should be more than 1 customer ordering 1 bottle of wine. If I am ordering a $14.99 bottle of wine (plus tax) and paying $8.95 for shipping, I am almost paying double for 1 bottle. Also, consultant shipping should bundled. I should not have to pay 2 $10.00 shipping fees to get wine and other items that could’ve been shipped in one box. Personal, supply, and tasting set orders should be bundled together. Otherwise, all of my profits are going to shipping. Not only is it not fair, it is a deterrent to becoming a Traveling Vineyard Consultant. I had a similar experience to Maureen. We inquired about a wine we found in restaurant by calling the winery – $65 to ship a case! Most wineries will charge $35 and retailers try to charge less. I did belong to a wine club that was $19.95 per case. I recently bought a heart rate monitor (size of a watch) – $12 to ship. It’s rare to see online shipping rates under $10 nowadays unless there is a deal to reel you in. Instead, Traveling Vineyard’s wines and shipping are fairly priced every time. Cheers to that! Indeed…very fair! I was looking for a wine that I had the pleasure of trying at a local restaurant. It is not available locally so I was interested in ordering a few bottles to have shipped to my home. The shipping price STARTED at $20 for just one bottle! I was shocked to say the least. I did not buy any. I would much rather pay $8.95 for one or 12 bottles of wine from The Traveling Vineyard or even the $11.95 to have it shipped directly to my home.